It wasn’t your typical police chase in Hong Kong. 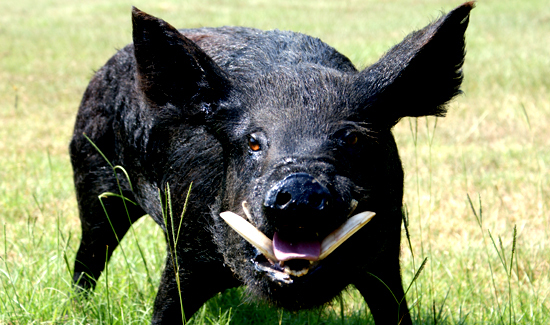 The target of this particular pursuit was a wild boar. The pig was first spotted in the bushes near Hong Kong Park — and it quickly drew the attention of about a dozen police officers and animal control workers, according to CNN affiliate South China Morning Post. Video of the chase shows officers using riot shields and nets as they attempt to corral the animal. At one point, the boar crashes through a hedge and slams into an animal control van. During the capture, one police officer and a 73-year-old cyclist were injured. Both men were treated at a hospital, the South China Morning Post reported. Police were finally able to subdue the boar by piling on it and putting a rope around its neck.